Hello blogland! I have been busy crafting today and in between two major projects, got the itch to do a couple of birthday cards and just had to share. 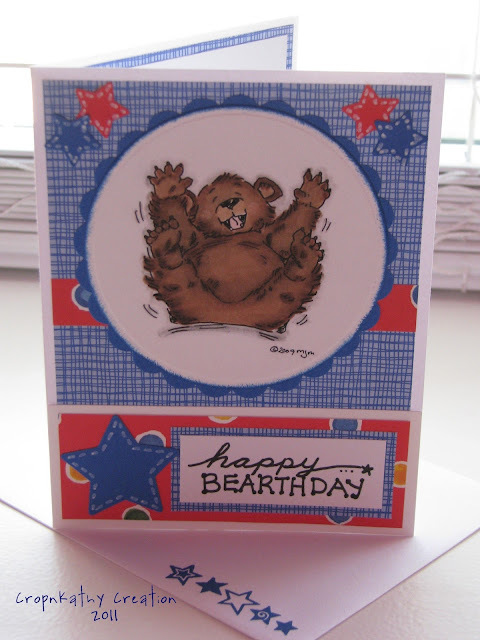 The first card is a boy birthday card and I used an adorable Mo Manning Digital Image called Beary Hilarious! I love this bear - he is so cute! The image is colored with copics and all paper is from my scrap bin. The star stamp is from CTMH and I distressed and stamped with CTMH moonstruck. My second card is perfect for a little girl! I used more digi images. The girl is a Digi by Lori Design and the butterfly is from Digi Stamp Boutique. 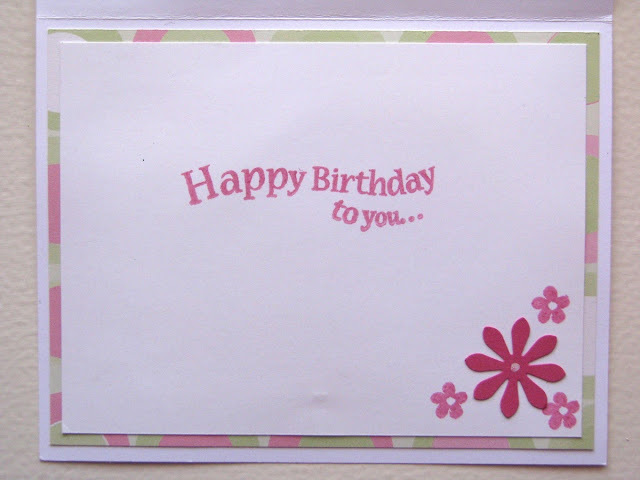 Again the papers are all from my scrap bin and the ink, flower stamp & inside birthday stamp are from CTMH. 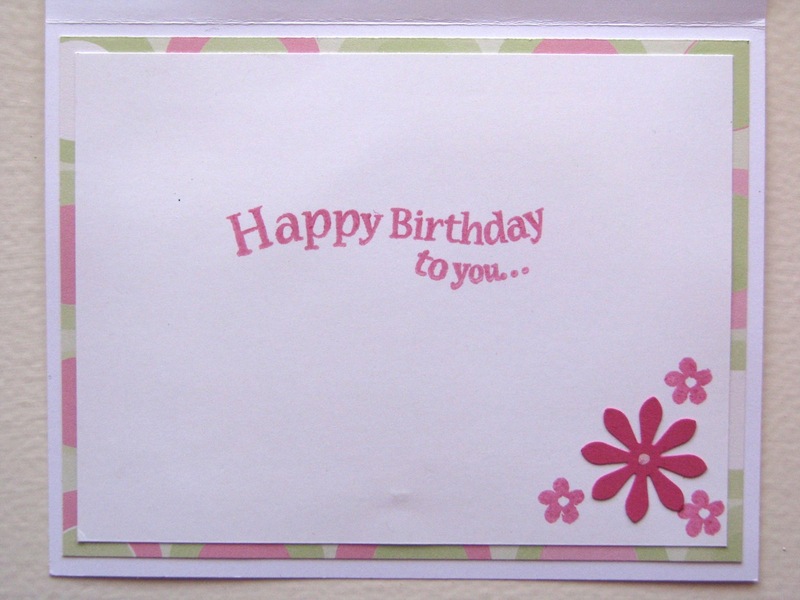 The Happy Birthday stamp on the outside of the card is from Gina K Designs. The pearls are CTMH and Kaisercraft. Super cute cards!! Thank you for playing along with my flutter by challenge! Both cards are cute, but I love that adorable little bear! That blue paper is great! Glad you joined us in Mo's Challenge. Both cards are super sweet! Great job! Great cards, excellent way to use up the content of your scrap box! Thanks for playing along with our Pink Challenge at Card Makin' Mamas! Great job, thanks for sharing it with us at Birthday Sundaes! Both cards are so cute and great for kids! Thanks for joining us at Send a Smile 4 Kids and please come back again soon! Oh wow! Both of these cards are just too adorable! That bear made me giggle! So happy!! Thanks so much for joining us over at the Send A Smile 4 Kids challenge. Good luck and I hope you will come back and play again with us! Both cards are so cute! I love your girl card, great design and embellishing. Thank you for playing along with Birthday Sundaes and Flutter By Wednesdays! I don't often see MO's bear stamps. How cute is he! I’m so glad you could play with us this week at Mo’s! Great card. Thanks for sharing during my guest designer spotlight at Birthday Sundays! Both cards are adorable! Never saw Mo's bear before:) but I think it's absolutely cute! Thanks so much for joining us this week at Mo's for our fun "blue" challenge! Hi. What a beautiful card you have made. Thank you for joining SC ccolorchallenge this week. What cute cards. Love the girl card with the BLD image. Thanks for joining us at the Color Me Creative Copic Challenge. Great to share this directions.We can exactly get the idea which firm is best for magnetic badges.